By Brian Voo in Desktop. Updated on November 22, 2018 . If you’ve recently installed the latest free Mac OS X upgrade, the Mac OS X Mavericks, you would have probably noticed a slight change in appearance of your dock. 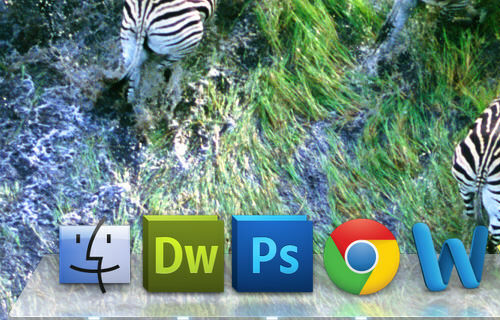 Although some users might not mind the change, others might prefer having the (more) translucent dock that came with Mountain Lion. Here’s a quick Terminal trick to get a translucent dock on OS X Mavericks. It’s just a matter of entering a code into Terminal and hitting the Enter key; it’s also easy to revert to the default settings and no restart is required. Your desktop will refresh and you’ll see that the dock is slightly translucent now. 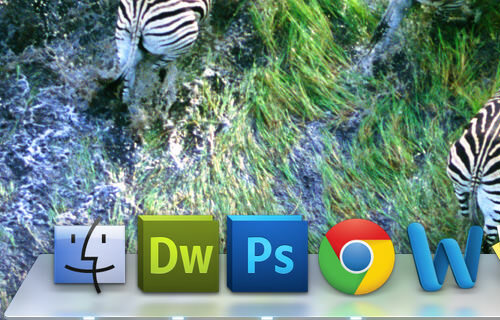 As compared to Mountain Lion’s dock, the icons’ reflections are not as prominent and look like they are reflected off a "frosted" surface. The dock itself is more translucent than it used to be, allowing for your desktop wallpaper to pass through. If you’re not satisfied with the looks of the translucent Mavericks dock, you can turn it back to its original state by entering the following code into Terminal and hitting the Enter key. Once again, your desktop will refresh and you’ll see that the dock is now back to its original state.